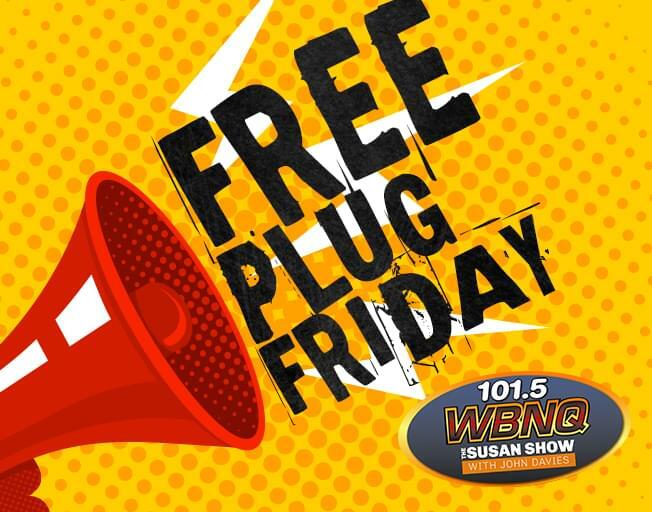 Free Plug Friday with The Susan Show! You have a show? An event? A macramé party? Well we’ll help you get the word out! Forget about stapling flyers to a telephone pole, this is the 21st century! Just drop us a line in the form below and we will get the word out about your spectacular weekend for people to attend. Submit what you want plugged for this weekend!